On August 12, National Aeronautics and Space Administration (Nasa) launched the Parker Solar Probe riding a ULA Delta IV rocket on a path toward solar orbit. Equipped with four instrument suites, the probe is solar-powered, and will be driven by the energy of the star it is studying over the course of its seven-year journey. The mission is to solve some of the stubbornly persistent mysteries about the sun by getting closer than ever before. 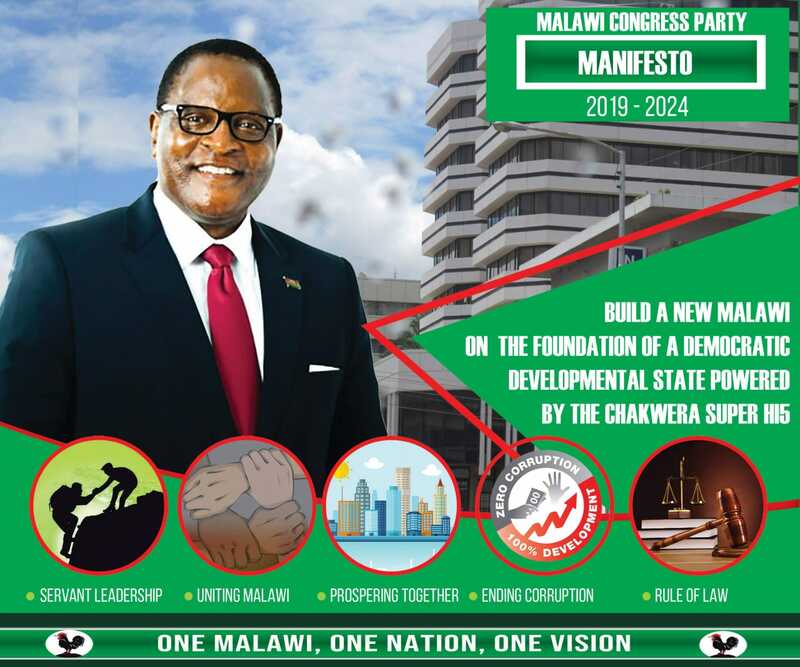 While the United States was celebrating this groundbreaking “feat”, people in Malawi were equally busy arguing on the possibility of creating a million jobs in a year as posited by Vice-President Saulos Klaus Chilima (SKC). Personally, what has excited me about the whole debate is not the possibility or impossibility of Chilima’s idea; rather, it is the people’s reactions and arguments that have since spewed out on this proposal. And that President Peter Mutharika even joined the bandwagon, to the extent of going ballistic about this proposal. Let us face it. The age of average is over. Leading and fostering a country to remain competitive in the 21st century just as our neighbouring countries are doing requires extra imagination, creativity, self-belief and drive. It is this boldness to dream big, declare and coalesce the citizens into imagining the possibility of a million jobs that is appealing to me. In 1961, the US President John F. Kennedy equally inspired a nation by proposing a big idea and attaching a deadline to it. Equally, Chilima’s proposal has now woken up people from their stupor. Now people are beginning to look around their surrounding and are seeing endless possibilities that could be achieved out of the immense resources bestowed on us. It is the ability, to make people think, debate and invoke their imagination on things that really matter, that we need as a country. Unlike the usual “apumbwa” attitude characteristic of most Malawians that always think negative, and is constantly on the lookout to smoke out brilliant ideas, Chilima is demonstrating to have bold big dreams, focus and gumption—a pivotal mixture of factors for any success, though not all-encompassing. I believe Malawi is stuck in a rut of poverty and misery not for lack of ideas and brilliancy – far from it. It is rather the dream killers who prowl our families, our offices, our universities, our communities and the breadth and length of our country with their sharp tongues of negativity ready to snip any innovative idea in the bud, who are our greatest enemies. Take ‘The boy who harnessed the wind’, William Kamkwamba for example. He had read about windmills and dreamt of building one that would bring to his small village a set of luxuries that only a few of Malawians enjoy: electricity and running water. He was called wamisala (crazy) but he refused to let go of his dreams. “With a small pile of once-forgotten science textbooks; some scrap metal, tractor parts, and bicycle halves; and an armoury of curiosity and determination, he embarked on a daring plan to forge an unlikely contraption and small miracle that would change the lives around him”. And as is always the case in Malawi, William received not a single iota of support from fellow Malawians or the government. It was the Americans, believers of big ideas—that spotted his aptitude and nurtured his talent. The lesson is that, without a clear vision of how you will move society forward, you cannot succeed in creating innovative ideas that take people out of persistent poverty. Malawi leaders ought to dream and communicate big dreams. Is this article based on a bachelor’s degree thesis in philosophy or what? Chilima is talking about creating factories everywhere he goes ! Bingu was the first to be making these claims and we know why he could not do it even in eight years . Surely in making these claims, Chilima is not using knowledge of economics but may be the lesdership course at MIM. Matter of fact, to begin to suggest this is the exact definition of upumbwa and you want people to applauding munthu akutipaka bibi? Our biggest problem of Mavawi govt thru our President dont put resourses to fund innovators but turn & arrest them if at all they creat their local radio station. This Mzuzu poly graduate who is building his car no govt official let alone our APM has said any word nor think of funding him very shameful & if SKC says a million jobs these are one opportunities Malawi is waisting. Being realistic is not having an upumbwa attitude. Clapping hands to blatant lies like creating 1 million jobs in a year and kuthetsa quota through ODL is on the other hand, the true upumbwa attitude. I agree with you Mbuya. I want my country men and women to strive for great things but seriously I am not going to go on a podium and lie that by next year malawi will have 1 million jobs and that our malawian scientists will , by 28 August 2019, make their first space trip to Andromeda. We’ve gone from lacking ambition to just downright crazzy in one leap. Unfortunately it is the same apumbwa mindset that is making the two of you think like that. Birds of the same feather. Apumbwa!!! Kikiki! Mumdziwe Yesu ndithu. Iwe mbuya, ndiwenso wopusa ngati ambuye ako. It’s very possible to create those jobs in Malawi. Infact, one can create even more than a million. Kuganiza kobwerera mbuyo ngati azimbuye anu omwewo is the reason that Malawi is the way it is. The pro-Chilima acolytes will be upset with your post but its true. Promising things for which you do not have a coherent plan on how to achieve is an age-old politician’s trick. Evidently the trick still works on Malawians.